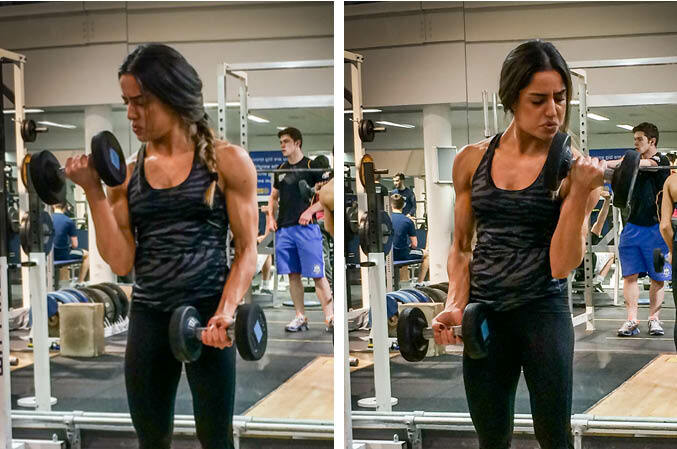 The Alternating Biceps Curl is an upper body exercise that primarily targets the biceps, but also works the forearms. This is an isolation exercise which is well suited to beginner lifters. Perform a double drop set on the final set. 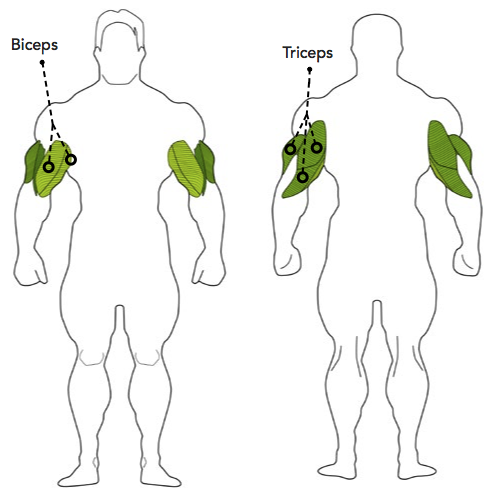 Avoid using momentum/swinging the weights as this releases tension on the biceps.